Each year BBC Children in Need hosts an appeal show in November to raise money and awareness for children growing up in the UK. This is an evening filled with entertainment, with celebrities supporting the cause through singing, dancing and participating in fun and exciting challenges and activities for all viewers to watch live. 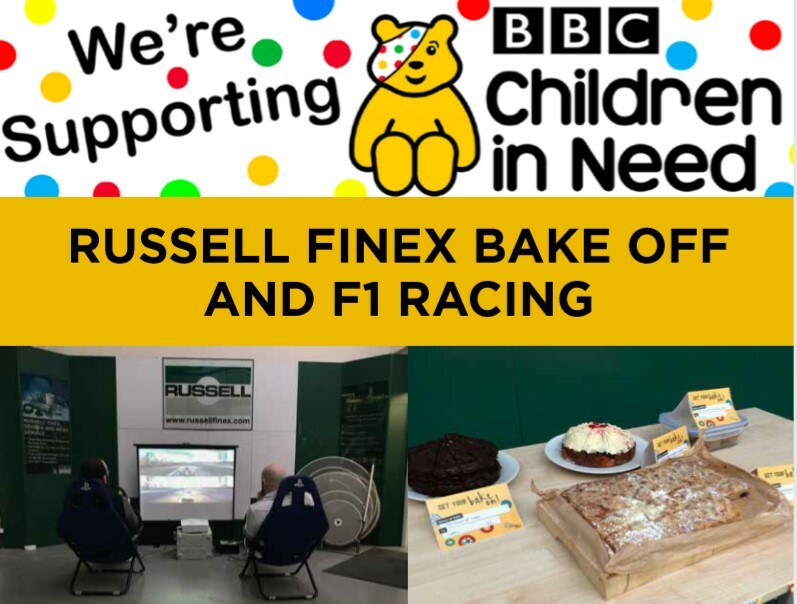 This year Russell Finex’s UK headquarters has supported the cause with a bake sale and racing challenge, held on Friday 16th November. Russell Finex staff take it in turns to pair up and race against each other on a 'Pop-up Arcade', competing for the fastest lap. The bake sale and the racing event both raised £304 with the winner, Neil Gajjar, Technical Sales Coordinator having the fastest lap record of 2.00 minutes and was awarded with some vouchers. Founded in 1927, BBC Children in Need has spent 91 years, and counting, supporting children in the UK to ensure they have a childhood that is safe, happy and secure, giving them the chance to reach their full potential. This is done through over 2,400 projects around the UK such as Whizz Kids, Hearing Dogs for Deaf Children, Pod Charitable Trust and many more. BBC Children in Need is able to make a real difference in the lives of children across the UK through the continual support of the public and all those who donate. Russell Finex is committed to supporting local, national and international causes, and thanks you for your support in the BBC Children in Need 2018.